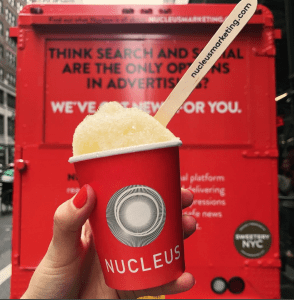 So what exactly is experiential marketing? Grant explains that Sweetery is hired by companies to create an experience so interesting and memorable that anyone who stumbles upon it will be drawn to that particular brand later on. 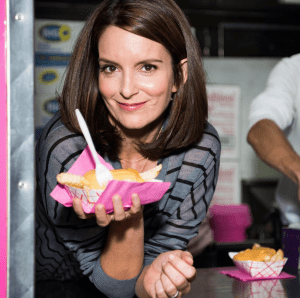 Did you see Tina Fey passing out cheese fries when Mean Girls came to Broadway? Or perhaps you witnessed Katy Perry distributing 6,000 cherry pies in Times Square? If so, you’ve seen Sweetery NYC’s work. Hiring Sweetery to create an experience featuring your brand is akin to hiring a wedding planner–they take care of all the tedious work (think getting permits) plus all the creative work (truck branding, food concepts, etc.). In other words, they take care of everything. 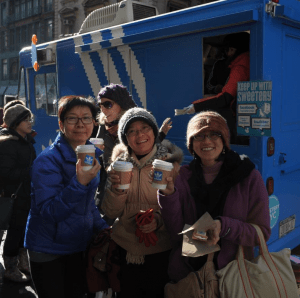 Food–distributed from mobile trucks–tends to be the focus for Grant’s clients, but that isn’t always the case. 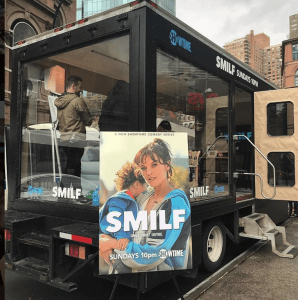 When the Showtime series SMILF hired Sweetery NYC, they loaded a glass truck with relationship experts and took to the streets. (They also distributed Boston cream donuts, but that’s not the point we’re trying to make here.) 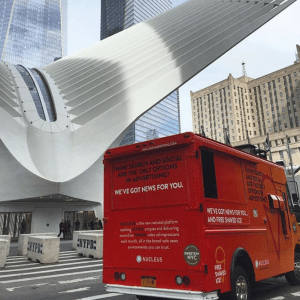 While they’re mostly known for their truck work, the innovative team also does venue-based events, often taking over pedestrian plazas and event spaces. 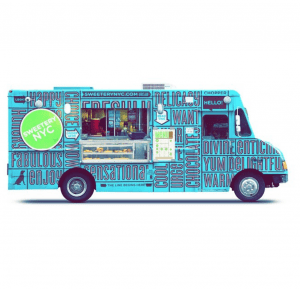 To learn more about Sweetery NYC, follow them on Twitter and Instagram or check out their website. Or just cut to the chase and hire them!